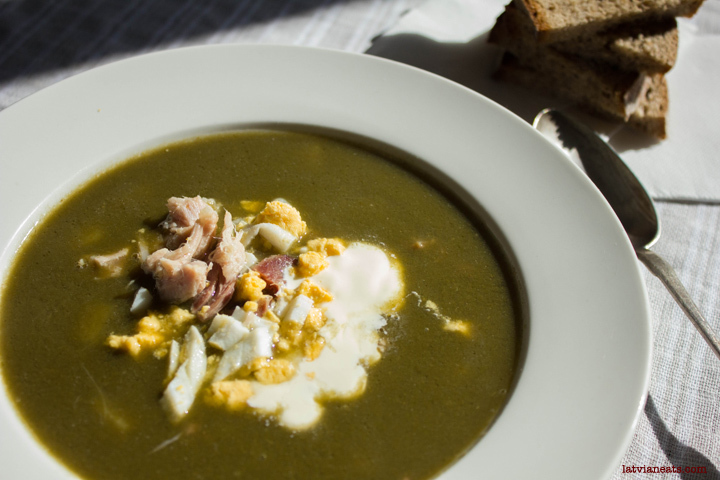 I’ve said it once and I will say it again – Latvians love their soup for lunch, dinner or dessert. Funnily enough, we don’t commonly eat cereal for breakfast which could be classified as cold milk soup. 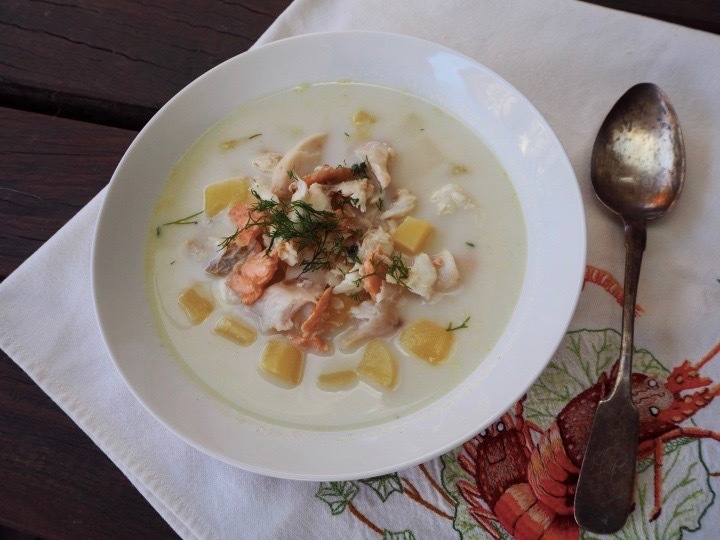 One soup we love though is fish soup, especially made on bonfire with freshly caught fish right there on the bank of a river or a lake. Making stock for fish soup is not for fainthearted – it will be a bit smelly, a bit grisly and definitely messy. The effort is worth it though, and this recipe will allow you to make stock to last at least 4 batches of soup. Get the stock going, then cool it, separate in 1 litre quantities, freeze (I use freezer bags) and then enjoy soup whenever you feel like. Quantity of soup in the recipe will be enough for 4-6 people as a proper meal. 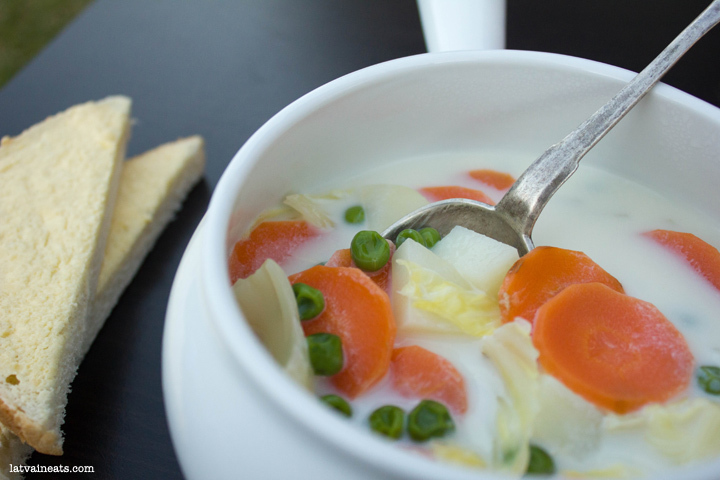 You can add carrots, peas, maybe celery to the soup, but I like mine plain – with potatoes and dill. 1kg/2lbs of whole fish, fish heads, bones etc. Place fish in a large pot and add just enough water to cover the fish. Bring the pot to the boil, skim any scum from the pot. Add onion, carrot, bay leaves, peppercorns. Simmer the stock for at least an hour. Remove fish from the pot, reserve. Drain the stock through a fine sieve. There will be enough stock for several batches of soup. Pour 1 litre of stock in a smaller pot. Peel and cube potatoes. Add to stock. Boil the potates until they are soft. Meanwhile clean the fish from bones. 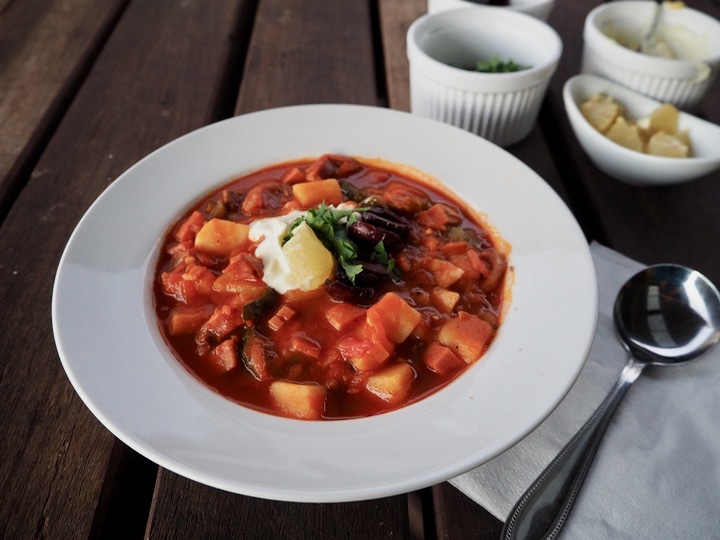 When potatoes are soft, add milk to the pot and bring to simmer. Remove from the heat, stir in finely chopped dill and add fish. Serve with sour cream and rye bread.